A plastic-free, double-wall vacuum-insulated bottle. Brushed stainless finish. 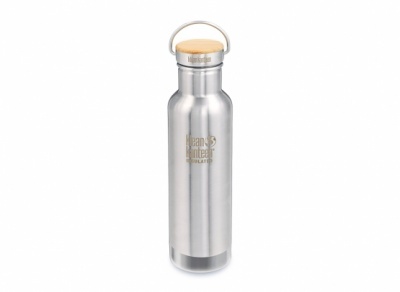 Beautiful in its simplicity and deliberate in its design, the Insulated Reflect 20oz bottle is crafted using sustainably harvested bamboo, food-grade silicone and stainless steel. Just three materials, no paint, no plastic. 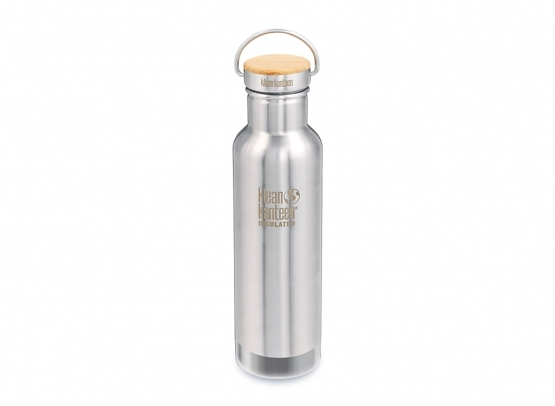 Crafted of high quality 18/8 stainless steel inside and out with double-wall vacuum-insulated which will keep drinks cold 24 hours or iced 40 hours. The Bamboo Cap is crafted from a single piece of stainless steel, finished with a beautiful piece of bamboo and easy to carry with the stainless steel loop. Please note: Not recommended for very hot liquids due to steel bamboo cap.